Two goals by Robin Van Persie secured a first trophy for David Moyes as United overcame Latics in the Community Shield. Wigan were competitive throughout and matched their local rivals for long periods but it was the quality of Van Persie which was the difference between the two sides. The Dutchman gave United the lead on six minutes when he rose to meet a cross by Patrice Evra and headed powerfully past Scott Carson. The second goal came after the break when Van Persie’s shot was deflected by James Perch out of the reach of Carson. United were firm favourites to overcome Championship Latics, but the underdogs looked comfortable particularly either side of half time. Owen Coyle’s team might have secured an equaliser when both Grant Holt and James McClean wasted good opportunities. United had started the half on top with Ryan Giggs playing a central role, but it was Latics who ended the half looking the more likely to score. Debutant James McClean twice putting in testing balls across the face of goal which Holt could not reach. Emmerson Boyce and then Leon Barnett had chances to head at goal, but could not capitalise. Wigan started the second half as they had finished the first but once again struggled to take advantage of good build up play. 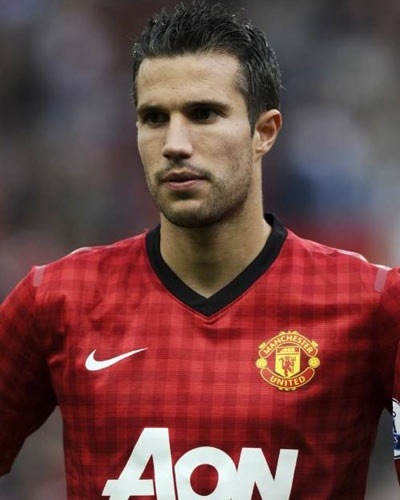 Just when it was looking promising for the underdogs, that man Van Persie struck again in the 59th minute. The Dutchman was allowed to turn on to his left foot and fire in a low shot which took a deflection off James Perch and wrong-footed Carson. The second goal was sufficient to secure United the victory, as both teams made numerous substitutions in the second period, and this disrupted the flow of play. Despite the defeat Latics should not be too despondent as they matched the Premier League Champions for long periods, and it is unlikely that they will come up against a player of the quality of Robin Van Persie in the Championship. This entry was posted in Community Shield, Manchester United, Robin Van Persie, Wigan Athletic and tagged Community Shield, Manchester United, Robin Van Persie, Wigan Athletic. Bookmark the permalink.